With one-button beatmatching now in pro DJ booths too, is there any need for pitch faders any more? Today we look at four reasons why they’re still relevant. 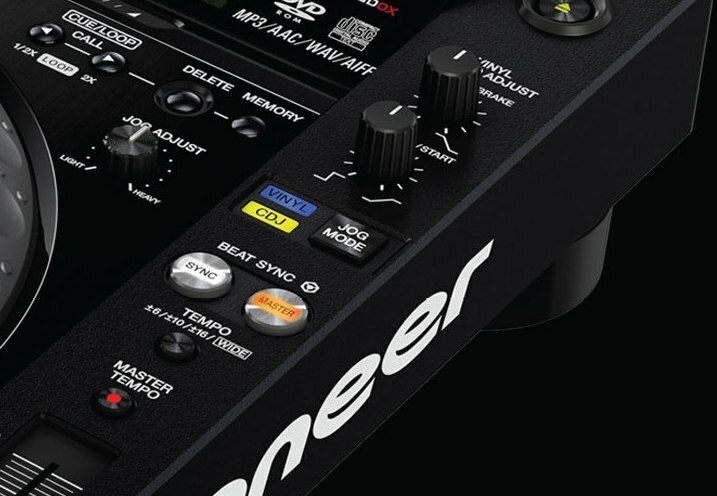 With Pioneer adding a sync button to its new CDJ2000nexus, the battle is won (or lost, depending what side of the fence you’re on): The “sync” button is now part of DJing. Today’s article isn’t going to debate the pros and cons (it’s been done to death, and continues to be done all over the web seemingly everywhere I look), rather, to discuss a more intriguing, practical matter: What’s the use of the now seemingly redundant pitch faders, if not for manual beatmatching? The truth is, even if you always use sync and never even attempt to beatmatch manually using them (although you really should; see 5 Reasons Why All DJs Should Learn To Beatmatch By Ear for why), there are actually plenty of things they’re still good for. So today we’ll recap what the pitch fader is really there for, before considering four alternative uses for it in a “sync button age”. Pitch faders permanently adjust the BPM (beats per minute) of your tune. In other words, they adjust the speed of the music. “Manual beatmatching” describes use this as a tool to help you to get two tunes to the same speed before mixing one into the other. You use the jogwheel to momentarily speed up or slow down one of the tunes until both sets of beats line up, and then adjust the pitch fader to “lock in” the change so they don’t drift apart again. It’s a trial and error thing, but that is the classical use for the pitch fader and the reason why it’s there at all. The Technics turntable pitch control, a tool which nearly all DJ controllers also have a version of on board. However, as we stated in the introduction, nowadays the sync button can, nine times out of ten, do all that troublesome stuff for you. Beatgridding (or pre-preparing this stuff so your computer doesn’t have to guess) can deal with most of the rest. All of this effectively makes the pitch fader redundant. But not so fast! 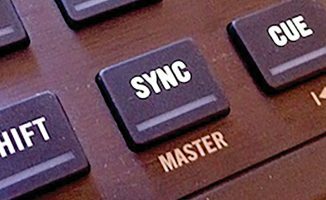 Here are our four reasons why even if you’re addicted to the “sync” button (and there’s no reason why you shouldn’t be), you shouldn’t be scared of some manual pitch fader action either. A good rule of thumb is never to mix tunes with more than about 4BPM difference between them. That means a 120BPM tune can be mixed into anything with a BPM of 116 to 124. Any more and tunes can start to sound weird. But often you do want to attempt a beatmix with tunes with a wider BPM variance. Trouble is, if you hit “sync”, the incoming tune is likely to be matched to the current tune or the master clock (don’t worry about the difference for the sake of this explanation), so if the current tune is 120 and the incoming tune is 130, the incoming tune will be slowed down to 120. In other words it’s a long way (10BPM) from where it should be played – more than 4BPM. The better suggestion is to gradually adjust the outgoing (120BPM) tune to half of the difference between the two or 125BPM, using the manual pitch fader, then press “sync” on the 130BPM tune on the other deck (which means it will be slowed down to 125, which is better than 120). Once you’ve done the mix, you choose your next tune, and do this “50%” trick with the new tunes too. In this instance, you’ve reduced the BPM jump to 5% which is much better than the original 10%. Depending on your DJ software or controller, you may be able to change the “pitch range” of your pitch fader. Pitch faders are usually set to +/-6% or +/-8%; that means that fully “up” or “down”, the pitch fader can slow or speed up your tune by 6% or 8%. But normally there’s a button that allows you to change this, to maybe 12%, or 25%, or 50%, or even 100%. 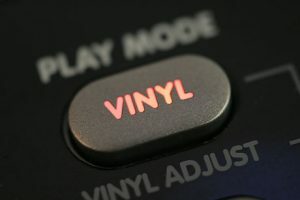 While the trade-off here is that any adjustment made will probably be less accurate when set to one of these settings, the good thing about (especially) a 100% option is that you can use it as an effect, similar to turning a record deck’s power off when the record is playing, so it slows down gradually but audibly. Just set your pitch fader to 100%, and slowly move it “down” (which is actually up, or away from you) while playing a tune. Of course, you can speed a track up by doing the same thing. Harmonic mixing is mixing tunes in the same or a related musical key together. This can often result in exceptionally good sounding mixes, and is made child’s play by simple-to-use software like Mixed In Key, which analyses musical key for you and adds it to your files so your DJ software can display it for you. Trouble is, keylock can make tunes sound bad – thin, raspy, and generally a poor substitute to the same track played without the keylock on. It’s a symptom of your computer doing its trickery to keep that musical key where it should be. It doesn’t always sound bad, and not so much when the track is close enough to its original BPM (see point 1 above), but it can still be an issue. 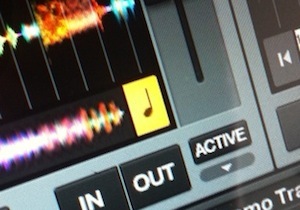 The yellow musical note in Traktor Pro 2 that tells you your track is “keylocked” – but beware the sound quality if doing this. Ptich fader to the rescue! Here’s how DJs get around this. Once you’ve mixed a tune in with the keylock on, if it sounds a little ropey (usually it’ll be because it is a few BPMs too many away from its recorded speed), use the pitch fader to slowly bring it back to the BPM it was recorded at. Once the tune is at exactly the speed it should be, you don’t need the keylock on at all, so you can switch it off without any adverse effect on what your audience is hearing – and now, the track is playing exactly as intended, and at the highest quality possible. When combined intelligently with the skill taught in point 1, and always keeping an eye on the BPMs to keep variances as low as possible, this is one of those tricks that can fool most of the people, most of the time; it means that for the majority of your DJing time, the sound quality is improved markedly, while you dtill get to take advantage of harmonic mixing techniques. This is a Jedi trick, and one used a hell of a lot by DJs who have mastered manual beatmatching. 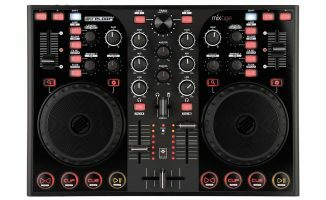 Now, all but the most purist digital DJs are quite happy using sync (it saves time), so typically they will do just that when mixing from one deck to another (say, decks one and two) in “normal” DJing. But if you want to drop acappellas in over your tunes, a good place to have those is lined up on decks 3 and 4. Thing is, acappellas don’t have a beat, so unless you’ve painstakingly beatgridded them beforehand, you can’t get them at the same speed as your playing tracks by hitting the “sync” button for them. No, you need to do it manually. Hence the pitch fader/jogwheel juggle as described in the introduction is necessary – just not for the “main” tracks, only for the samples, acappellas etc. that you’re using on your “extra” decks. By using sync for the primary decks and the pitch faders for the “extras”, you get the best of both worlds. I don’t think the pitch fader is dead, far from it. Despite it being absent from some DJ controllers (I’m thinking the Reloop Contour and the DJ Tech 4Mix), and transformed into a pitch knob on at least one other (Novation Twitch), it’s still essential for manual beatmatching, and you really ought to know how to do that for all kinds of reasons as stated at the start of the piece. Have you got a use for the pitch fader that I haven’t touched on? Please share your thoughts in the comments! Yes, excellent use, and easily mappable in Dj software too. I always wondered hy it was called the pitch fader rather than the tempo fader, too: Thanks for that. There is no such thing as a perfect keylock algorithm, but Virtual DJ (for instance) has both key and tempo locks. Anyone else who feel that sync and pitch FADER is a rather cumbersome combination. I personally feel that pitch KNOB is much more convenient. Agreed, as it doesn’t actually fade anything in or out like a “real” fader, although as it tends to be a slider, “knob” isn’t normally going to work either. Damn it, I ment to say pitch ROTARY…but you get the idea. I got a twitch and I’m not a fan of the pitch rotary. Very hard to manually beat match with that as it is dependant on the acceleration of your turn to determine the rate at which the pitch is adjusted. Sync is always active on my twitch for that one reason. Not to say I’m not a fan of the twitch (great for slicing/dicing and beat juggling tracks) but that pitch rotary is its massive weakness. I’m going to have a go at remapping it to the strip as a shift function in Traktor soon. I like your thinking – so using them for drastic tempo switches but smoothing it over by using the same song to make the tempo switch. Yeah, it works best with an original and a remix. Also songs that use triplets such as Vapourise by Sub Focus, or have a simple synth pattern like the second breakdown to Falling Down VIP by Sub Focus can be used to transition into a higher BPM by looping 2 or 4 bars then pitching up and fading in the new song. These are ways I use the pitch fader anyway, I do like relying on the sync button most of the time though for standard-similar-bpm mixing. I like to remap the pitch fader on my Umix Control Pro for other purposes such as effects depth and then adjust the pitch fader on the screen with the mouse. Fair point! There’s nothing wrong with using a pair of keyboard keys either for pitch if youonly use it irregularly – like you say, frees up the pitch fader for something more creative. 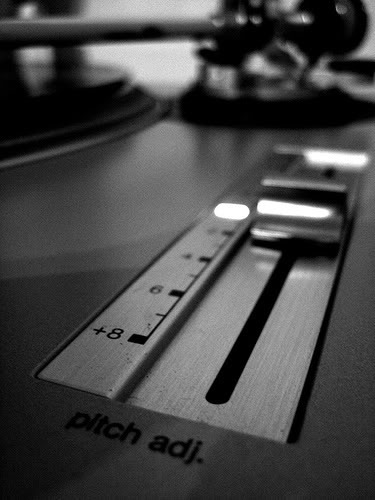 In most instances…I gravitate to using the pitch fader over the sync button for everyday beatmatching and sets just because that’s how I learned some 2 decades ago. It does help with my harmonic mixed mashups if they have different keys to start with. But sync has its moments of usefulness also. Sync is never foolproof. I use sync, but I’m ready at the drop of a dime to shut it off and go manual when I see it’s not working for a track. Since I got my Traktor S2 controller I only use the pitch fader and rarely use sync. initially I did this was that I want to learn to ‘proper’ DJ ing by beat-matching. But now I think beat-matching helps me understand the music that I play more deeply. I am on a steep learning curve moving form punter to DJ , thanks for this website Phil. I agree with you I do the same Thing, since I got my s2 I just use manual beat match just to see how it felt from normal turntables and I like it makes mixing more fun. And yes helps you understand the music better! Very good point, and a sound argument for learning manual beatmatching. Ive had my Twitch for a few months now and have gotten very used to the rotary encoder pitch control on it, and really like it. Especially how I can do fine adjustments close to the original BPM without worrying about the centre detente. The only problem I have found is that I sometimes when I’m browsing my crates for the next song, I discover I’m turning the right channel pitch rotary instead of the browse rotary! Oops. Ironically, I have just re-mapped the sync buttons on my controller as they are the only ones I never use! We still need to control the speed of our songs even with Keylock! No one wants to hear (FEEL) the same exact bpm all night. But it still seems odd using it for anything else for me. I like the idea as a filter effect. 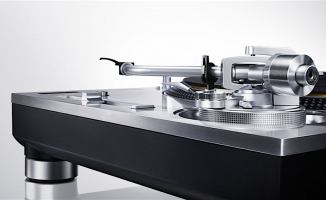 History note: The 1st 1200’s (SL-Mk 1) used pitch rotary knobs to adjust the speed of the turntable. SO anyone thinking it isn’t “right” is wrong. WHOA . . . the MK 1’s were what I cut my DJ teeth with oh-so-many moons ago. The rotary pitch knobs married to the rotary pots on the Bozak mixer. I only wish that I could have recovered them from the club, which was closed by the authorities back in 1978! I, sometimes use the pitch fader for faking a sampler, I set up my cue points, and move around the fader to give the cue points different pitch as if I were playing on a keyboard, you have to do this really fast, or it will sound weird. 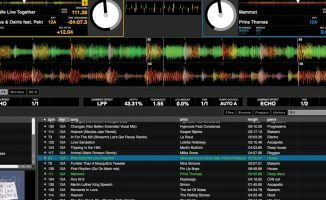 So you don’t need serato with that do you? And to add: I rarely (need to) do drastic tempo changes, I usually start around 128-130 BPM and over the course of my set climb to 134-136 BPM maybe, depending on the set, vibe, night etc of course. I haven’t used a pitch fader in a while (with Traktor that is, a CDJ yes), but I’ve mapped a fine-increment +/- buttons so I can nudge the tempo up slowly over a long breakdown/build, for instance. For effect: Turn keylock off, use the pitch fader when hotcue juggling to throw in samples at crazy pitches. If your controller doesn’t have a filter knob, you can map the pitch fader to control the filter.